Burglars stole several items from a house in Rugby this week, police have reported. During the night of Monday March 13 into Tuesday March 14, offenders entered a home in Hillmorton Road through an insecure door. Once inside the house, the offenders stole two sets of keys, three handbags, a tablet computer, a mobile phone and cash before making off. 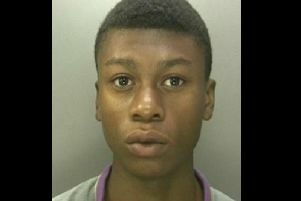 Anyone with any information should call Warwickshire Police on 101, quoting incident number 29 of Tuesday March 14.